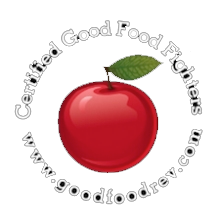 San Sebastian Gastronomika: Where Culture Counts - Good Food RevolutionGood Food Revolution | Wine is food. 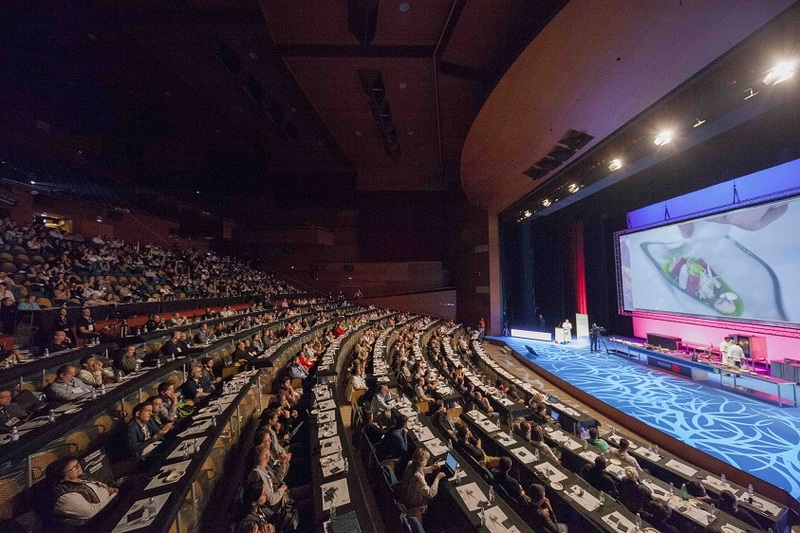 The audience of this year’s San Sebastian Gastronomika in the main auditorium of the Kursaal Conference Centre. Now into its 19th year, San Sebastian Gastronomika continues to honour the world’s culinary cultures together with the host country’s own variety of regional cuisines. This year India, whose food has settled into Asian, Arabic, and Anglophone nations, took centre stage. Here, everything from chaat (street snacks) to the plates of Michelin-starred chefs from India and elsewhere were presented by no less than twelve of Indian cuisine’s most renowned artists. Scant hours following the first full day of events at the Kursaal seaside conference centre, our dinner table companions were four of those brilliant Indian chefs. To chat at length with them in the gracious elegance of the fabled Maria Cristina Hotel took us beyond the tastings, workshops, and mainstage cooking theatrics that annually draws Gastronomika’s international audience. San Sebastian Gastronomika, organized by Barcelona´s Grup GSR under its visionary director Roser Torras has been described by Forbes Magazine as the world’s most important gastronomy event. 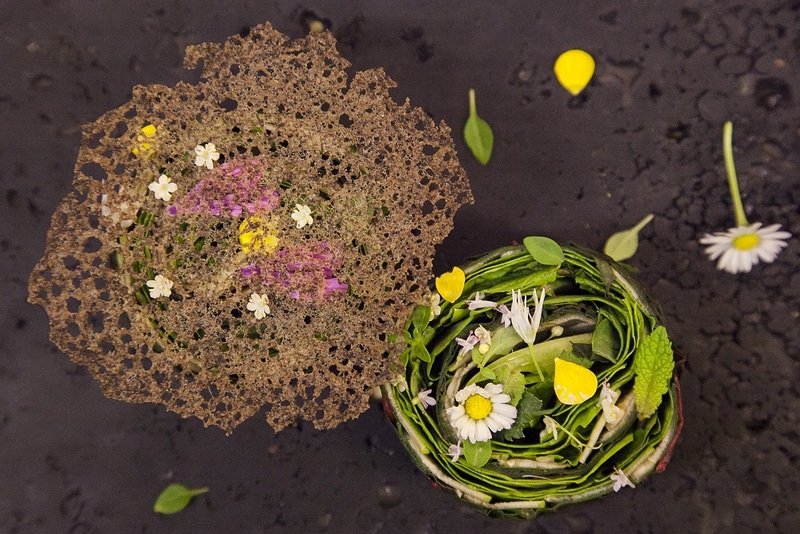 Each year, whether we learn about the food heritage of Amazonia, the legacy and evolution of Hungary’s classic sweet confections, or new ways Spanish chefs are using sea vegetables, the congress message has remained clear: culinary and beverage art is profoundly cultural. In 2012 I watched Oxaca’s Abigail Mendoza, expert of Mexico’s pre-Hispanic food as well as creators of Central and South America’s contemporary haute cuisine. 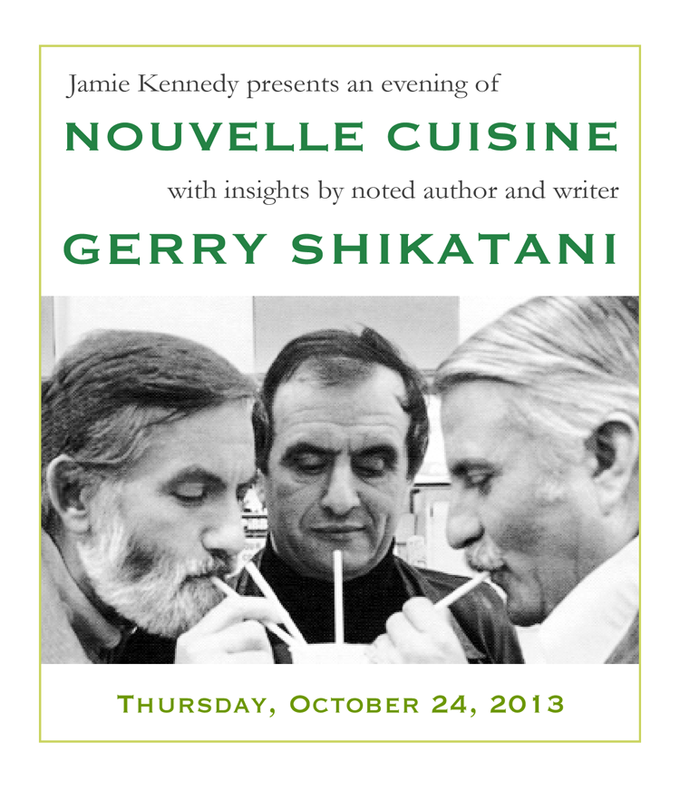 This encompassing perspective has brought a continuing cross-Atlantic exchange and evolution of cuisine on all sides. This, while by in large, Canadians continue to hold a one-dimensional romanticised notion of popular Latin American food. Last year, media, food professionals and the local culinary students who assisted in the congress kitchens or sat wide-eyed in the upper tiers of the auditorium, got a taste of history, ideas and specialties from six countries and five continents: Brazil, Hungary, Australia, South Africa, Japan and Turkey. 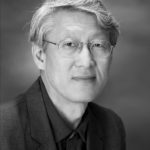 Top chefs from Korea, Hong Kong, and Singapore have all previously appeared alongside the likes of Heston Blumenthal, René Redzepi, Massimo Bottura, Grant Achatz, and of course, the established and emergent class of Spain. This year, current leading chefs from France and Portugal added to the Spanish contingent, studded with familiar Michelin-starred names: San Sebastian’s Martín Berasategui (this year adding Barcelona’s only 3-star designation to add to three at home), Elena and Juan Marí Arzak; Nacho Manzano (Asturias); Dani Garcia (Andalusia), and Cataluña’s Carme Ruscalleda (world-leading seven Michelin stars for a woman chef), and Joan Roca (with his brothers, of what is regularly listed among the very top restaurants in the world). 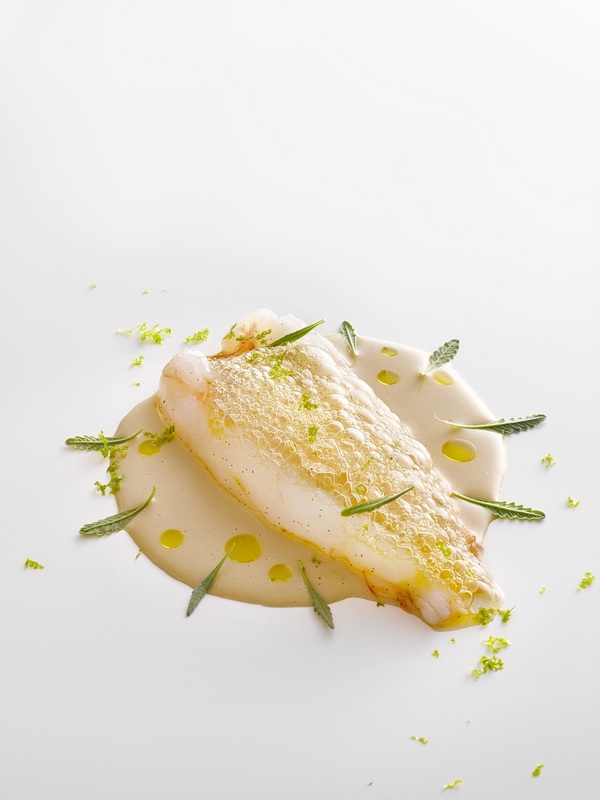 Joan Roca’s annual update of their work at El Celler de Can Roca included explorations with herbs (macerated mugwort into liqueur and sauce for crayfish) and using all parts beyond just the fillet of fish – turbot skin for a delicate wafer in one case. Fish skins have long been a favourite ingredient with Nacho Manzano who passionately spoke about Asturias’ food bounty. Bordered by the mountains and the Cantabrian Sea, it’s an area that was hyper-focused on the local well before this millennium. 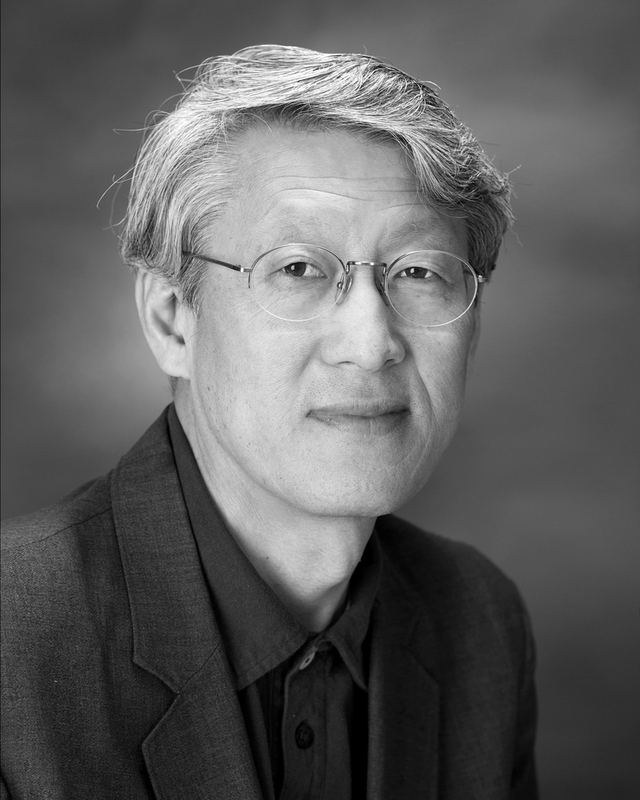 On stage, he created delicious magic with squid, enoki, shoots and sprouts. As a Canadian culinary critic, I sadly have not eaten in South Asia at all, so it is San Sebastian that’s given me better insight into the diversity of a cuisine I first tried fifty years ago in Toronto. 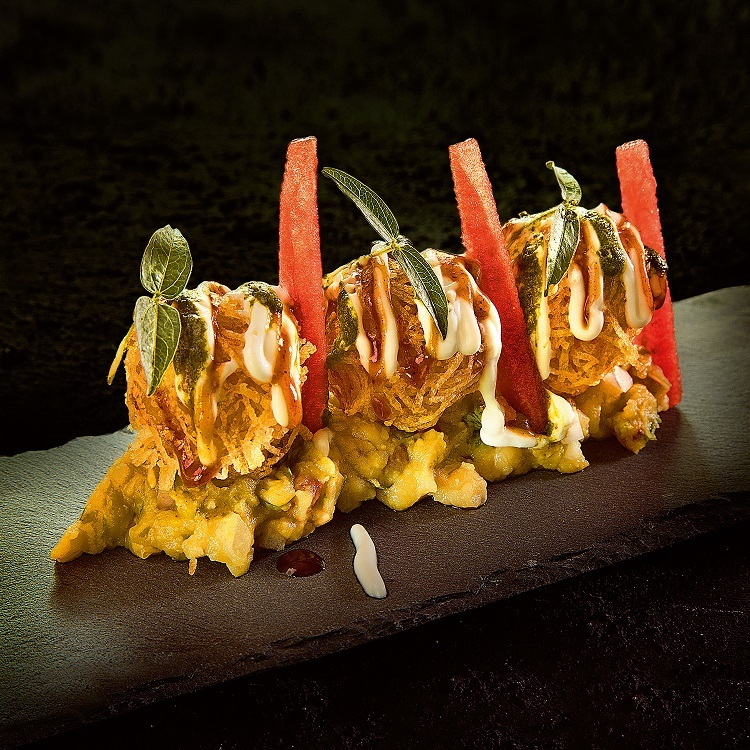 Chef Varun Mohan, raised in a vegetarian culture, brought his vegetarian haute cuisine expertise of royal Dum Pukht – a slow cooking style he does with very little oil; Gaggan Anand has been adapting vanguard approaches to traditional dishes in Bangkok ever since working under Ferran Adrià. Vineet Bhatia, whose fidelity to classic cuisine travelled with him to London, earned him Indian cuisine’s first Michelin star. 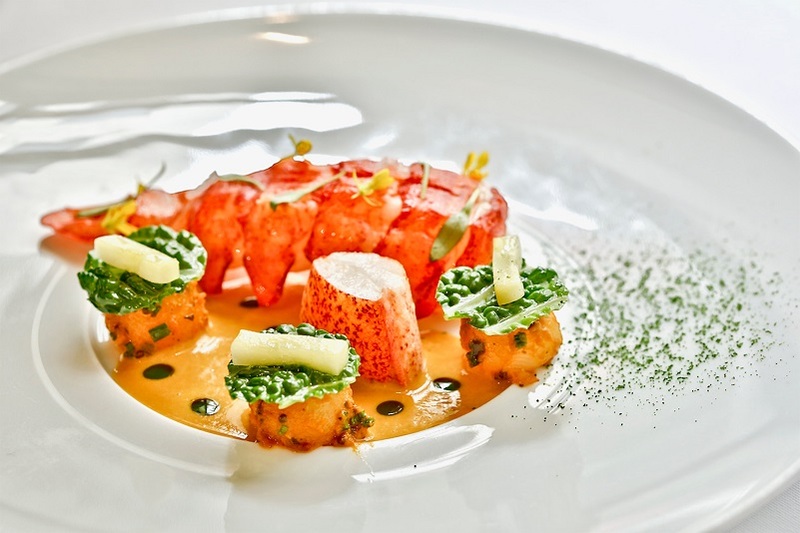 More have joined the Michelin club including Srijith Gopinathan’s Campton Place in San Francisco. 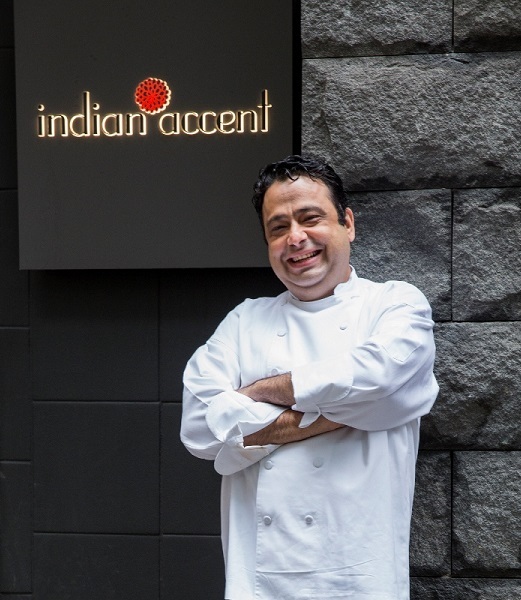 He demonstrated traditional and current French and Indian techniques for his New World Cal-Indian cuisine. 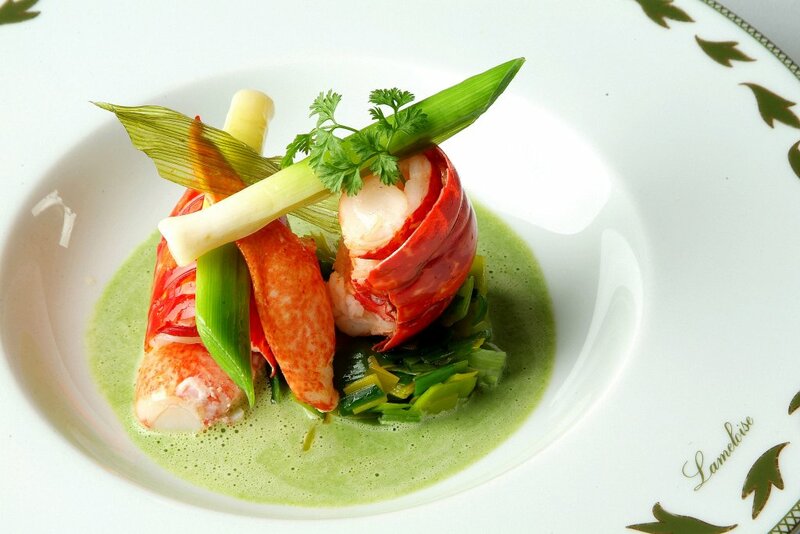 It’s become the first Indian restaurant ever awarded two Michelin stars. Manish Mehrotra from Bombay and Chennai who spoke of emotions and the explosions of flavour layers in cuisine presented our palates a sample of tiny prawns cooked with fresh coconut, cashew nuts and lentils, plus a potato-sphere and ragda (mashed white peas) chaat (“the word means lick,” he explained). No matter the chef and their dishes, all eloquently testified to the delegation’s aim: to show off a world of Indian cuisine sharing a depth and sophistication beyond what is usually served outside India. Spokesman for the delegation Manjeet Singh Gill described that over millennia, slow food was part of India’s diverse culinary culture – a “complete science” where enjoyment and wellness married in food. Seasonal and very local has always been fundamental in India as has been the knowledge of food properties – mustard to aid digestion, for example. Every chef I listened to emphasized how in true proper Indian cookery, the knowledge of combining ingredients and using spices brought harmony and balance and instilled calm. But calm was not the order here with non-stop presentations, a marketplace to sample the best Iberico or exquisite sustainable Balfego bluefin from Tarragona, a workshop on unusual petiscos from Portugal and very fine wine sessions. Indeed. Think, a tasting of rare small producer Champagnes and three impressive vertical tastings of Navarra’s Bodegas Chivite Coleccíon wines – white, late harvest, and the red Coleccíon 125 Reserva – the latter wine well-known in Canada. 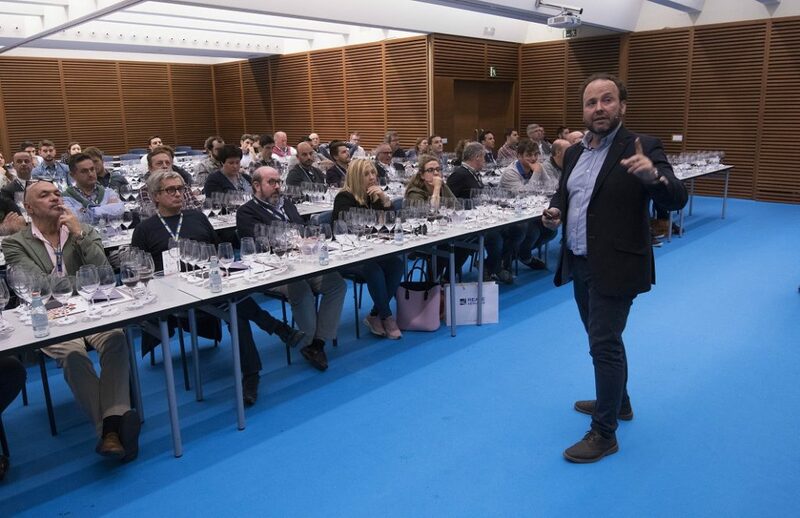 Led by director of oenology César Muñoz the progression from oldest to recent created a strikingly penetrating frame of reference. Back on stage, Mauro Colegraco, new star of La Cuisine Francaise closed the congress. 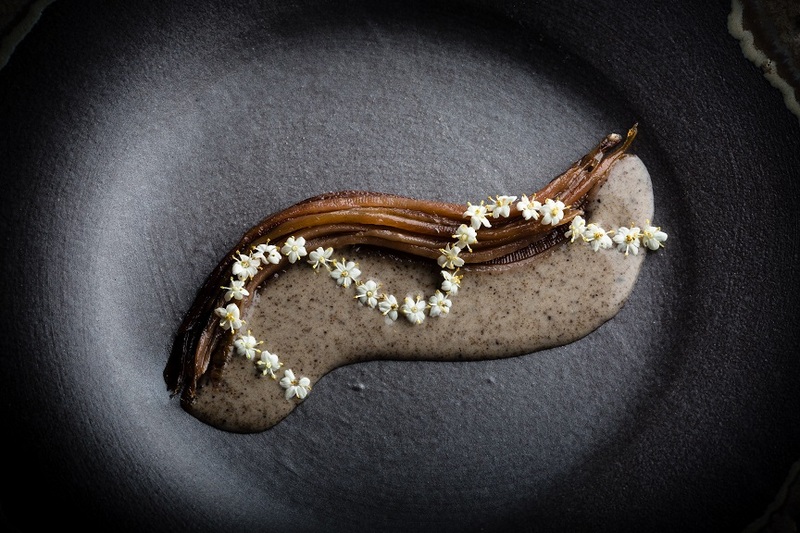 Before him, Andalusia’s Dani García, the region’s cocina vanguardia standard-bearer whose food first dazzled me a dozen years ago, offered his minimalist slither of anchovy slivers with truffle cream that hinted of Japan in my mouth. 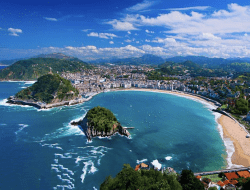 Of course, in San Sebastian, the pleasures were far from over for anyone. The fabled pintxo bars of this city were waiting for the crowds, me among them, streaming out of Kursaal.